All her concern is to reconcile one with the other and to unite them finally in the charity of our eternal country. A mother is quite different from a queen and sovereign; love is different from authority and dominion. 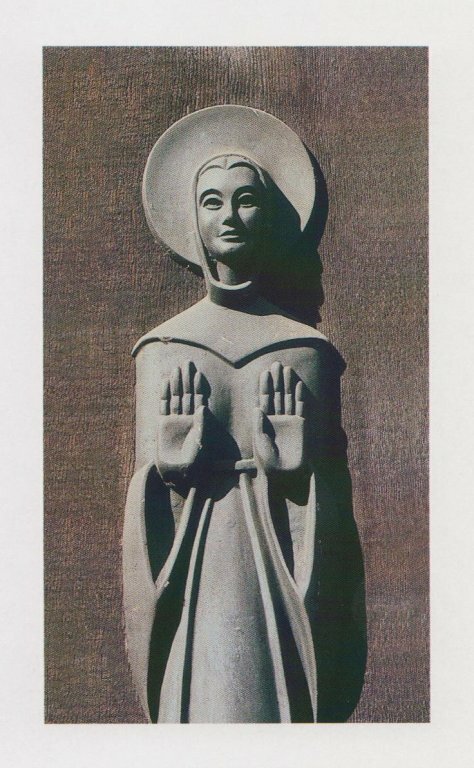 How could we ever give way to sadness and discouragement when the eye of a Mother watches over us . . . . The Very Reverend Basil Anthony Moreau, C.S.C. 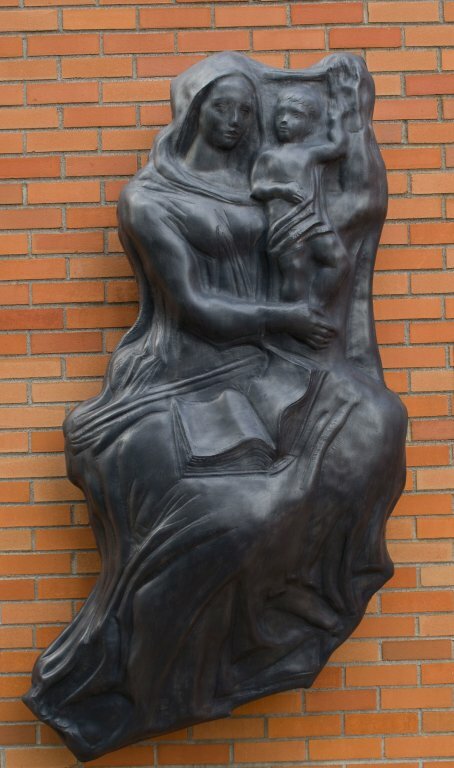 The University campus is replete with images of Mary the Mother of the Lord; notably the Sedes Sapientia (Seat of Wisdom) relief mounted on the Clark Library, and the statue belonging to the Galati rosary garden at the Lund Bell Tower plaza between St. Mary’s Student Center and the Chapel of Christ the Teacher.